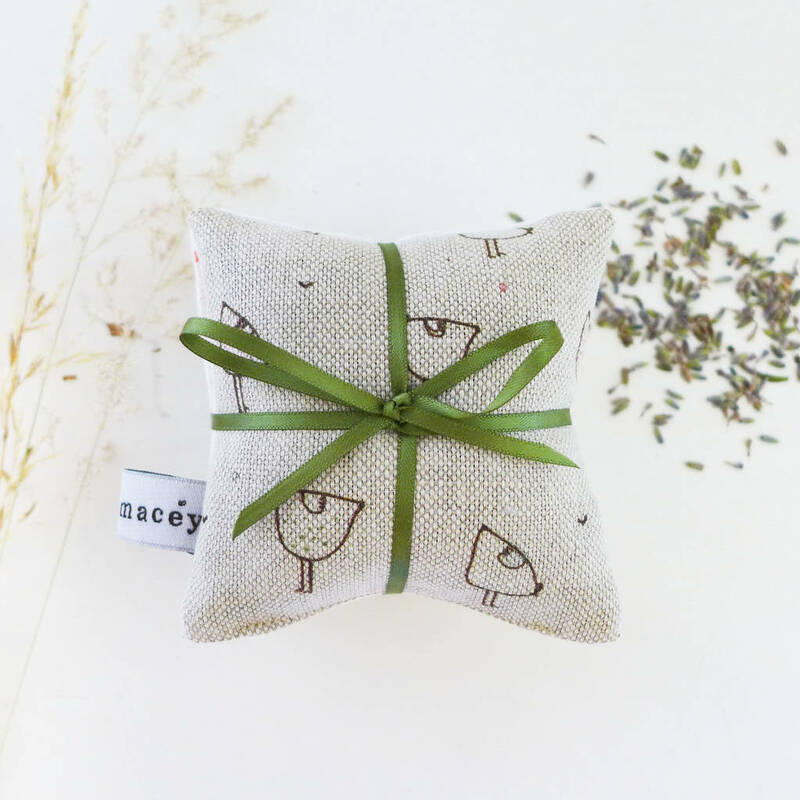 A quirky Hens lavender bundle tied with ribbon. This wonderfully-scented bundle of linen and cotton lavender pouches are perfect to tuck into your drawers and wardrobes. 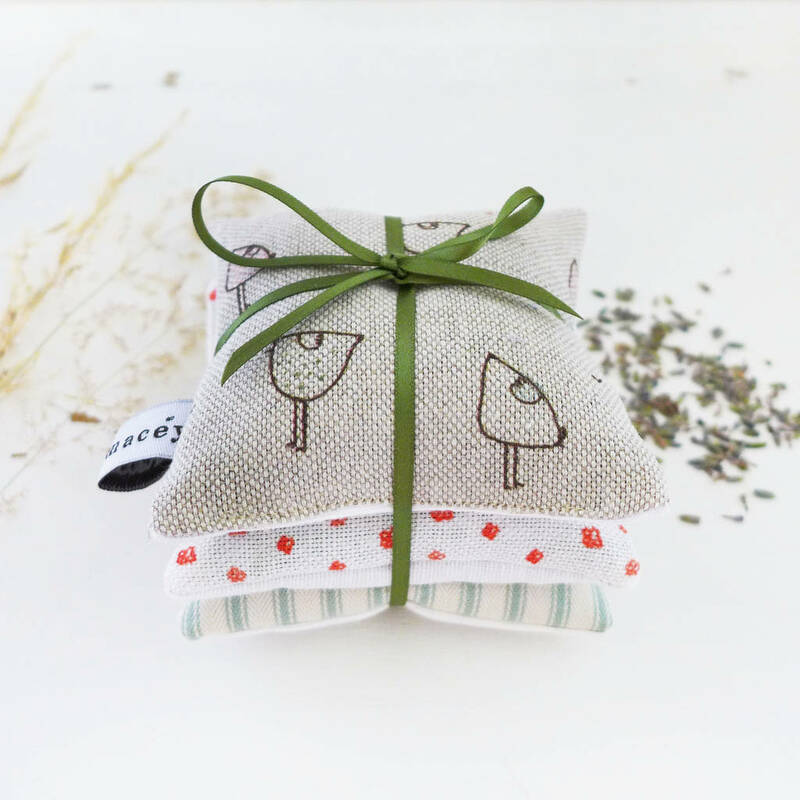 Handmade in our Cotswolds studio from Hens printed linen and co-ordinating pouches. 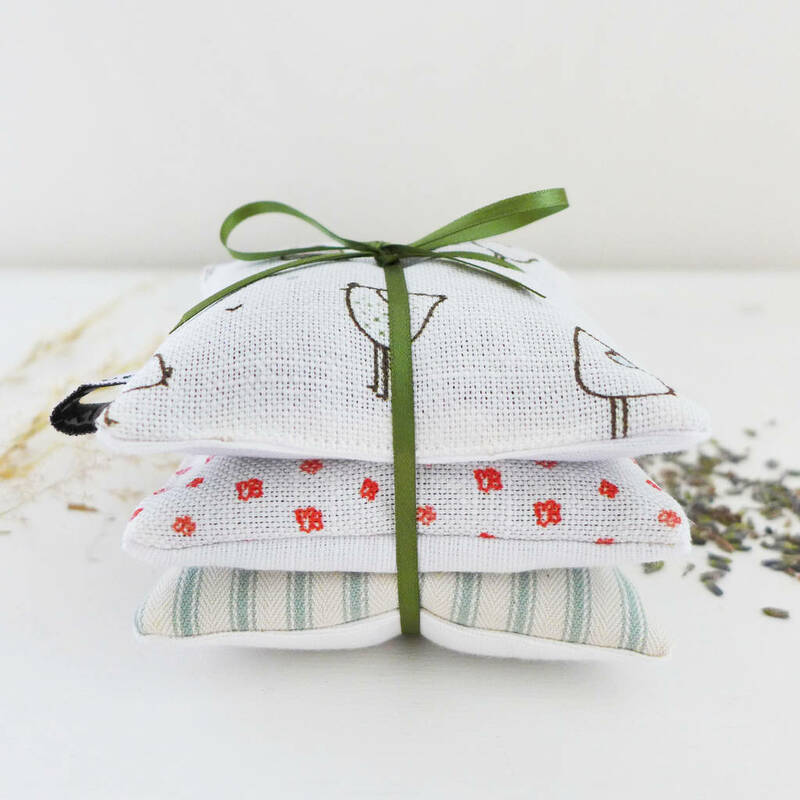 Each fabric pouch is filled with beautifully fragrant and locally grown Cotswolds lavender, and the stack of three pouches are tied with pretty ribbon. 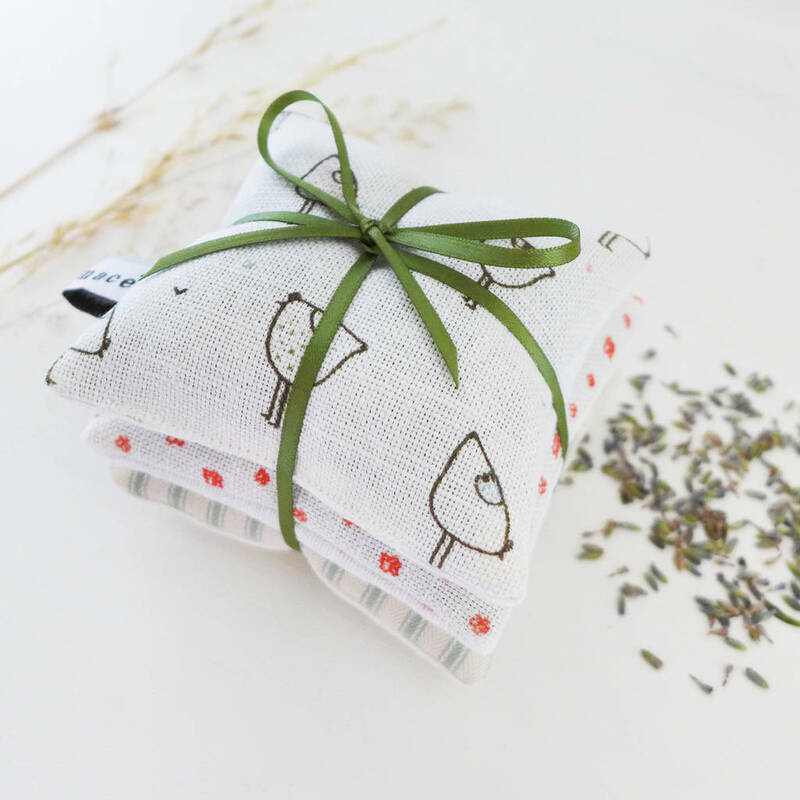 This lavender bundle will make a lovely gift for friends and family, a great teacher's gift for the end of term, and a lovely stocking filler too. 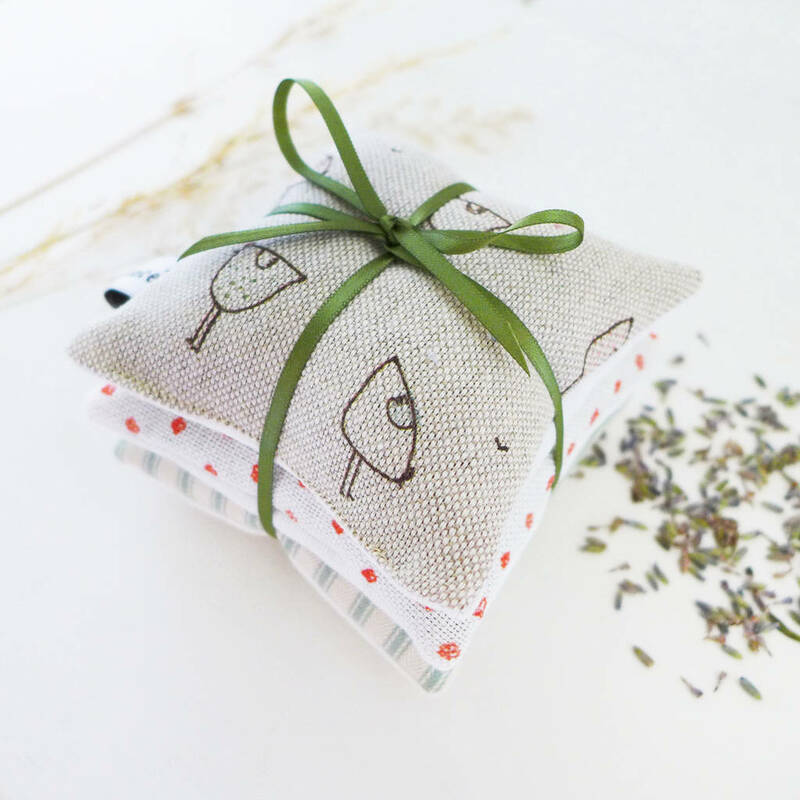 Each lavender bundle will be presented gift-wrapped in white tissue paper, ready to wrap with paper of your choice. 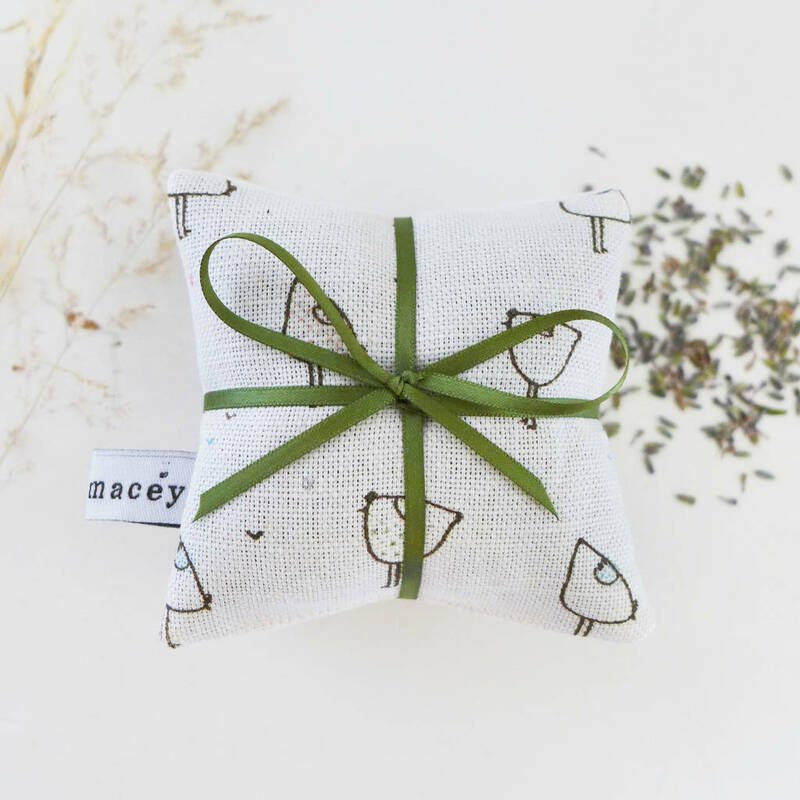 Please note: due to import/export restrictions our lavender products cannot be delivered outside of Europe.